You can reach us at 301-953-1700. We are looking forward to hearing from you. You can also contact us at our e-mail address: perone.products@comcast.net. You can visit our Facebook page under John T Perone Jr.
We are a dealer for Newmart Builders Inc. If you are not familiar with our company and your first contact with us is online: We would be pleased to hear from you! Please let us know what your needs and questions are, we will be more than happy to help. 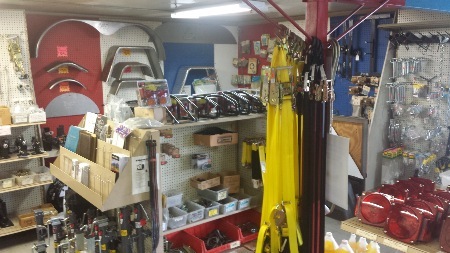 Feel free to stop in our location, we have a store with parts and accessories on display and we have a shop on site where we do all repairs and fabricating. You can visit our Facebook page under John T Perone Jr. In brief, you should know the following about us: our company was established in April 1970 and have been responsible for providing outstanding service and repairs ever since. Our specialty is in the area because we are a trailer manufacturer, is our repairs and welding abilities to trailers or axles. Our regular customers particularly value our honesty, the quality of our work and products we supply. Our business is located at 10128 Washington Blvd. Laurel, MD 20723 our mailing address is P.O. Box 1488 Laurel, MD 20725.